Every week is Stationery Week in my book. With an overflowing to do list and too many scattered thoughts to count, putting pen to paper is a lifesaver for me. There’s nothing better than some crispy fresh paper and smooth ink to get my creative juices flowing. Mmmmmhmmmm. 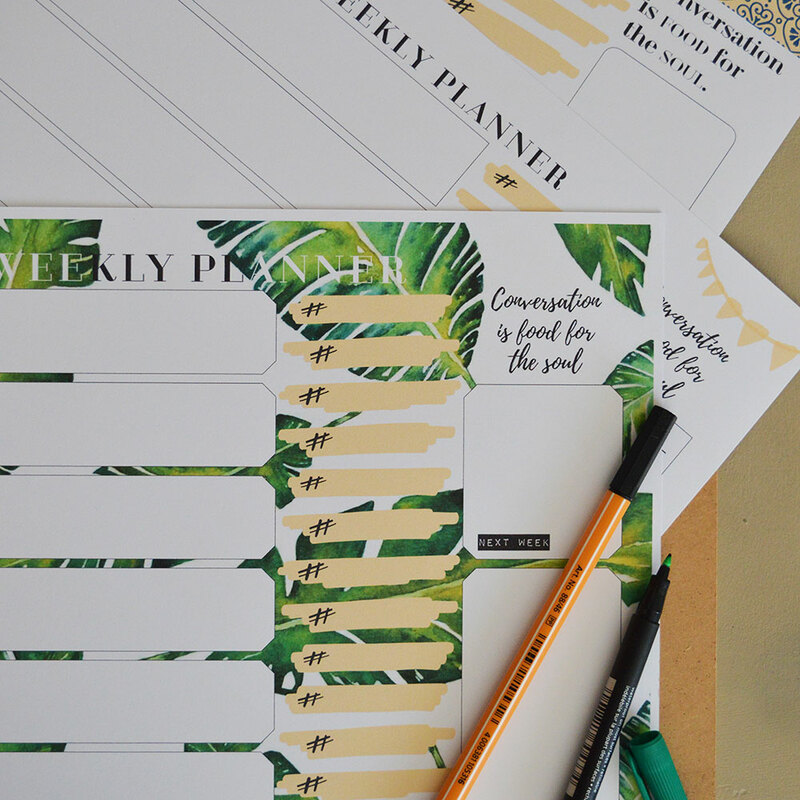 To celebrate stationery, social media, and my teeny-tiny obsession with boho themes, I’ve made this fresh and chic set of weekly planner printables. For free, for you, right now! No planner would be complete without a notes section and a spot to remind yourself about the next week, too. Each of these planners has a section for every work day and a joint section for the weekend, so it’s easy for you to use whatever day your calendar week starts on. Holla to my US friends! I love Twitter chats but always forget to use them, so there’s a column to jot down your favourite Twitter and Instagram hashtags. Community is so important, and I firmly believe scheduling time for it makes it so much more worthwhile (and less stressful than “spontaneously” checking it every three seconds). The planners come joined in one PDF, so print the specific page you want to use one design at a time. Or mix things up and plan ahead by printing all three weeks! 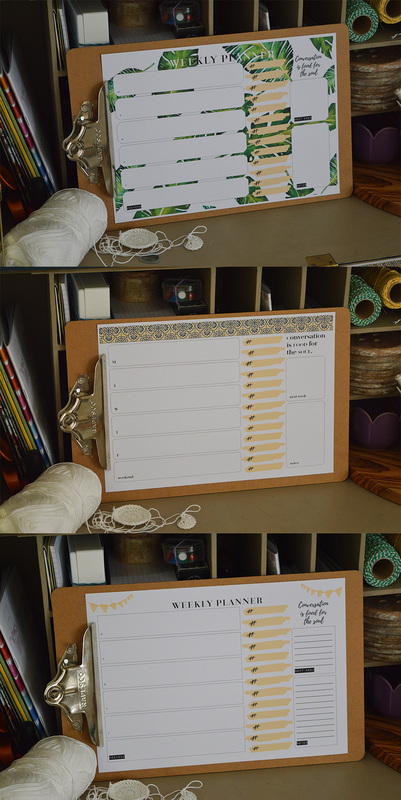 The last printable is especially for those of you who want a bit of boho planning love but want to save on ink, too. If you have any troubles using your printables let me know and I’ll do what I can to help!